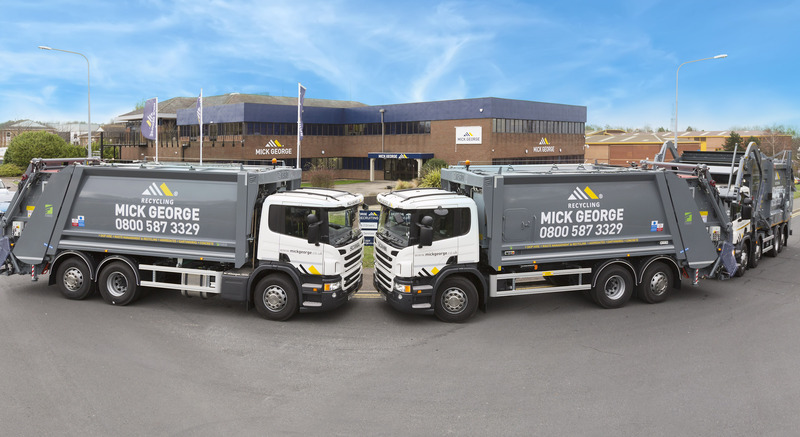 Waste management company Mick George Ltd has secured an agreement with Cambridgeshire Constabulary that will see the company’s commercial waste service extend to 19 of the Constabulary’s operating locations across Cambridgeshire, including its headquarters. Mick George, which is one of the leading waste management companies serving the East Midlands and East Anglia, recently added Bedfordshire Fire and Rescue Service to its client roster following the acquirement of Cambridgeshire Fire and Rescue Service last year. The company made the announcement on Monday (9 April) that it had landed the agreement with Cambridgeshire Constabulary, which has historically awarded the contract to national brands. The contract is a considerable one for Mick George, with the 12-month agreement consisting of the weekly or fortnightly collection of general or recyclable waste produced by the 2,614 officers, PCSOs, constables, staff and volunteers from 51 containers across the various premises. One of the principle factors in the decision to award Mick George the contract was the fact that the company was able to provide a sustainable and fully auditable zero to landfill waste management solution, fulfilling the Constabulary’s environmental commitments. On top of this, the competitive pricing of the Mick George proposal, allied with its regional location, further contributed to the decision. Commenting on the agreement, Stephen Hull at Cambridgeshire Constabulary said: “Cambridgeshire Constabulary is pleased to announce the appointment of Mick George Recycling Ltd as a tier 1 supplier to carry out waste disposal and recycling services at all its sites throughout the county. Abigail Johnson, Head of Waste at Mick George Ltd, commented: “Much like ourselves, Cambridgeshire Constabulary has a duty to provide the community with a service to the highest of standards. We are immensely proud to be connected with yet another reputable local authority. Refuse collectors in Slough could be balloted on potential strike action following the suspension of a senior steward over a dispute about where workers are allowed to eat their lunch.